Since January 2006, Anne Hunt has served in a new position, created by Saint Paul Mayor Chris Coleman, as Sustainability Director. Anne has more than 25 years of experience in public and non-profit management and community organizing. Her work for the city has focused on policies and programs that: encourage energy-efficiency and conservation; development of clean and renewable energy technologies; and alternative transportation options to reduce carbon dioxide emissions; promote resource conservation through recycling and waste reduction; improve water quality; and strengthen habitat for wildlife in a built environment. 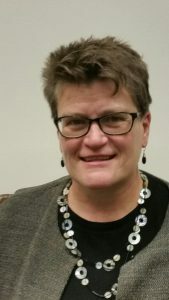 For 13 years, Anne was the executive director of a non-profit coalition of community-based organizations providing innovative environmental programs and services for Saint Paul area residents. Prior to joining Mayor Chris Coleman’s staff, Anne coordinated public policy initiatives for the Minnesota Environmental Partnership, a coalition of 90 environmental and conservation organizations. Anne recently received ICLEI’s 2010 Sustainability Leadership Award for Local Government Staff. Stephen Polasky is a Regents Professor and the Fesler-Lampert Professor of Ecological/Environmental Economics at the University of Minnesota where he has a joint appointment in the Department of Applied Economics and the Department of Ecology, Evolution & Behavior. He is also a fellow of the University’s Institute on the Environment. 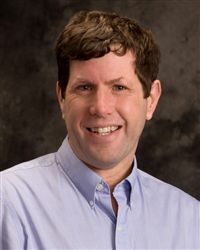 His research interests focus on issues at the intersection of ecology and economics and include the impacts of land use and land management on the provision and value of ecosystem services and natural capital, biodiversity conservation, sustainability, environmental regulation, renewable energy, and common property resources. He is a co-founder of the Natural Capital Project, a partnership between Minnesota, Stanford, The Nature Conservancy, and World Wildlife Fund. He served as Senior Staff Economist for environment and resources for the President’s Council of Economic Advisers 1998-1999. He currently serves on the Board of Directors and the Science Council for The Nature Conservancy, the Sustainability External Advisory Committee for Dow Chemical, and the Science Advisory Board of NOAA. He was elected into the National Academy of Sciences in 2010. He is a fellow of the Association of Environmental and Resource Economists, the American Academy of Arts and Sciences, and the American Association for the Advancement of Science. He received a Ph.D. in economics from the University of Michigan in 1986. Sigrid Stagl was the first graduate from the Ecological Economics program at RPI, New York (May 1999), making her the first PhD in Ecological Economics worldwide. Sigrid’s thesis was on “Global food production and its alternatives – a socio-ecological economic perspective” (advisor: Sabine O’Hara). After her studies Sigrid worked at universities in Vienna (Austria), Leeds (UK) and Sussex (UK). 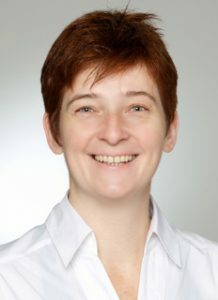 She is now Full Professor of Environmental Economics and Policy at WU – Vienna University of Economics and Business. Sigrid’s main research interests lie in (1) understanding institutional and behavioural change, (2) improving sustainability appraisal methods and (3) developing ecological macroeconomic models. Besides journal articles, her publications include “Ecological Economics – An Introduction”, Cambridge University Press, 2005 (with M Common), which is used in graduate courses worldwide. From 2003 to 2012 Sigrid served as Vice-President and then President of European Society for Ecological Economics. She is now Director of the MSc Program “Socio-Ecological Economics and Policy”, which started in October 2012 at WU. Elizabeth King is an Assistant Professor at the University of Georgia, in the Odum School of Ecology and the Warnell School of Forestry & Natural Resources. Dr. King’s fields of expertise are restoration ecology, social-ecological systems, resilience, and sustainability science. 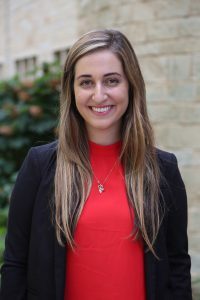 In her research, she embraces both interdisciplinary (connecting academic disciplines) and transdisciplinary approaches (connecting research, practice, and stakeholders). 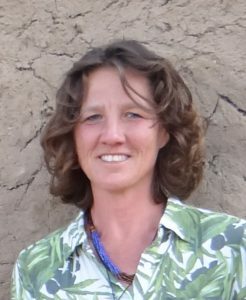 Her primary research focus has been in pastoralist systems in East Africa, where she has worked for over 20 years studying both ecological and social dimensions of land degradation and livelihood transitions. More recently, she has investigated multiple ecosystem service tradeoffs in rural agricultural systems, with particular attention to the constraints and capacities of households and communities to adapt and transform their livelihood strategies. 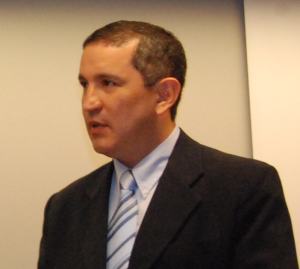 Alexandre Rivas received his doctoral degree in Environmental Economics and Public Finance from The University of Tennessee System (1998), Masters in Public Finance – The University of Tennessee System (1997) and bachelor in Fisheries Engineering from the Federal University of Ceará, Brazil (1988). He is full professor in the Economics Department from Federal University of Amazonas. President of Piatam Institute, Collaborating Professor in the Environmental Studies Program at Washington and Lee University (USA), Emeritus economist conferred by the Economics Council of the Amazonas State, Brazil. He is a Science and Technology Adjunct director from the Amazonas State Federation of Industries (FIEAM). His current research interest focus mainly in the area of Environmental Economics and Natural Resources, with emphasis on the Economics of environmental services and economic valuation of the environment and environmental impact analysis of major projects in the Amazon. Dr. Rivas also actively participates in projects in the private sector. Leehi Yona is a Master of Environmental Science candidate at the Yale School of Forestry and Environmental Studies. Her research focuses on integrating climate change science and policy, with a previous focus in the Arctic. Currently, she is investigating ways to strengthen both the development and implementation of the Intergovernmental Panel on Climate Change’s Greenhouse Gas Accounting Guidelines, focusing on soil ecology and regional political discourse. She holds a degree with high honours from Dartmouth and has been to nearly a dozen United Nations climate conferences. As a scholar activist, Leehi founded the Divest Dartmouth fossil fuel disinvestment campaign and is currently working with the Union of Concerned Scientists on a project to aggregate faculty engagement with divestment. Leehi is a recipient of the Lieutenant-Governor of Quebec’s Youth Medal, was a Rhodes finalist this year, and was named Canada’s Top Environmentalist Under 25.